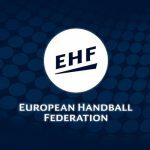 Spain and Germany did a great job yesterday, qualifying for the european handball championship, so today’s match between the two teams didn’t have too special meaning. This allowed both teams to play more relaxed than usually, making some mistakes they didn’t make in the previous matches. Spain was in control for the first 45 minutes of the match, but the better form in the final quarter of the match gave Germany the win (30-29). The beginning of the match was totally equal, with both teams changing in the lead in the opening ten minutes. Spain was the team that first led with two goals (7-5, 11. minute), later increasing the lead to three goals (9-6), thanks to the right back Mbengue Rodriguez, who played excellent in the first half. Germany finally got back in the game in the last ten minutes of the first half, drawing the result 11-11, few minutes later it was 13-13, before Spanish players scored two more goals and went to break with a two goal lead (15-13). Germans played much better at the start of the second half, scoring three goals in a row and taking a 16-15 lead. 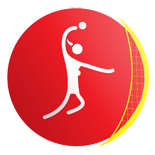 Spain raised the level and again took control, leading 24-22 and 25-23, but it was obvious that this game will be very interesting after Germans scored three quick goals and once again took the lead (26-25). Peter missed a penalty for Germany, but in the next attack Souza found the way to the net for the Germans, who led with tho goals (27-25) for the first time in the match. Spain had a chance to equalize in the last minute, but Martinez missed a penalty (30-29). At the other side Germany had a chance to finish off the match, but she also missed a penalty, giving the Spain team last chance for a draw, with 14 seconds to go. Spain missed the last attack after Ana Gonzalez couldn’t find the way to the net, giving Germany the 9. place at this European Championship. We won today but I am not satisfied with our performance. We had a game plan and we didn’t execute it, we weren’t at the level I wanted us to play. We played a good match, we were a bit tired after the match with Norway but we managed to win at the end and finish this tournament with a victory. We didn’t qualify in the Main round because of the loss from Spain, so we wanted revenge. This was our last match and I wanted all the players to play, so I gave everyone a chance. I am satisfied even though we lost, because we got a place for the World Championship next year, which is very important. We played some great matches and if we had an easier group I am sure that we would have even better placement at this championship. We wanted to play well and to win, but we couldn’t start to play as well as we can. We did our best, but couldn’t find a way to win in the final minutes.